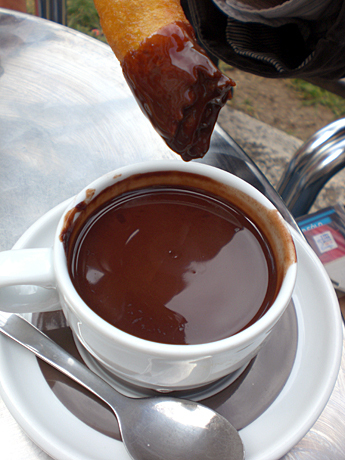 Valencians go crazy for a lot of things, and I think right after fireworks, chocolate is their favorite passion. 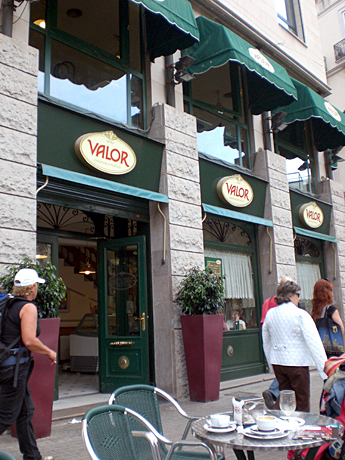 On a Sunday you might see a huge line of people waiting to get a table at "Valor" chocolateria to have churros and hot chocolate. 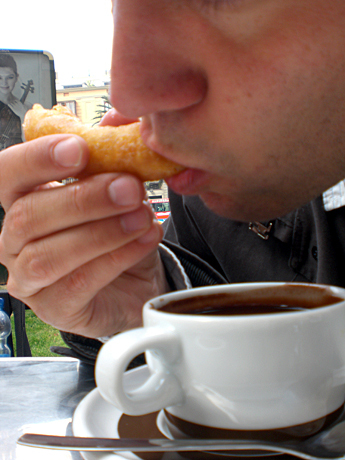 Be careful: the hot chocolate they serve might send you to the emergency room with an overdose. It’s so rich & thick, it’s almost pudding. 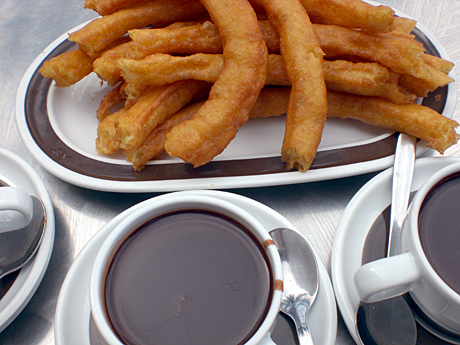 There’s nothing better than to dip Churros or Buñuelos into it. Now sit back, enjoy and let the sugar kick in.